The Annual General Meeting of all club members, usually held in May, where we elect officials and generally discuss and decide the club's direction and any other issues for the coming year. The Club Committee, which consists of the Club Officials and Section Heads, meets about once per month to report on club activity and deal with the day to day matters of running the club. 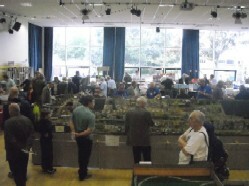 A less formal sub-committee of those involved in the staging of the club's Annual Exhibition also meets about once per month to discuss progress. 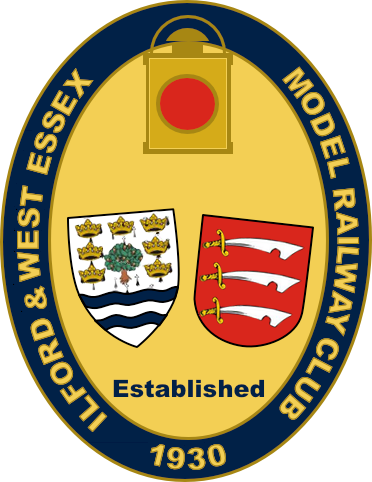 Each section meets on a particular day or days of the week at the club headquarters, for the purposes of working on layouts, planning projects, or simply using the clubs facilities, such as the library. See the Section Guide page for details of each section's specific meeting times. Every year, about mid-December, we hold our annual Christmas Party - unofficially nicknamed 'plum duff night' (nobody remembers why!) - for members and their partners at the club house. It's basically an evening to get together and run the layouts, with mince pies and perhaps a dash of Christmas spirit thrown in! Members, keep an eye on the Club Diary for the exact date.